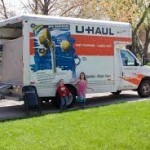 The number of Americans who moved in 2013 was 35.7 million, 11.5% of the population. Since record keeping began in 1948, the percentage of movers has steadily declined from about 20% to just 11.5% today. However, because of population growth due to the Boomers, the number of movers steadily rose from 28.7 million in 1948 to 40 million in 1985, where it remained until 2005. Reduced mobility reduces economic growth.